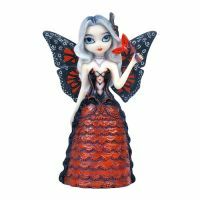 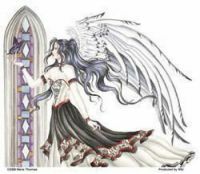 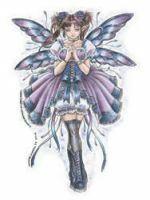 Fairies : Mystic Crypt, the most unique, hard to find items at ghoulishly great prices! 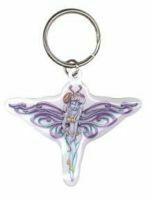 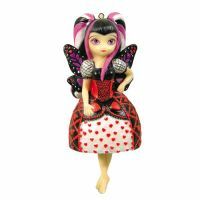 Wink Fairy Metal Keychain measures approx 2 1/4 inches by 2 1/4 inches. 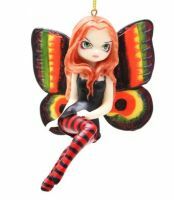 Wink Fairy Sticker measure approx 6 inches in width and 4 1/2 inches in height. 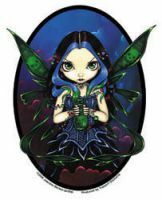 Jasmine's Blue Ribbon Fairy Sticker designed by Jasmine Beckett-Griffith, measures approx 5 inches by 4 1/4 inches. 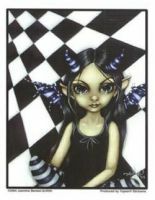 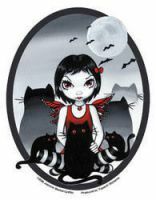 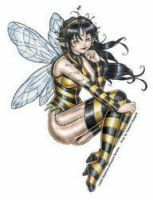 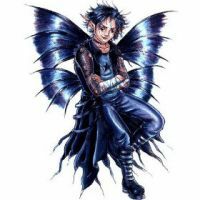 Goth Boy Fairy Sticker designed by Delphine Levesque Demers, measures approx 5 inches by 3 3/4 inches. 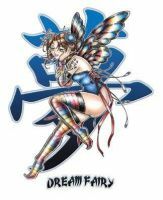 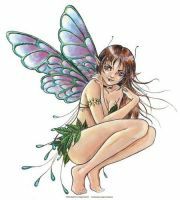 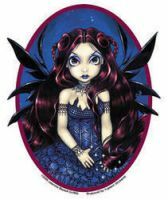 Blue Corset Fairy sticker designed by Delphine Levesque Demers, measures approx 5 inches by 3 1/2 inches. 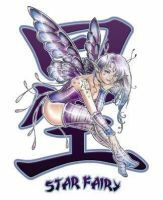 Zombie Fairy sticker designed by Delphine Levesque Demers, measures approx 5 3/4 inches by 4 inches. 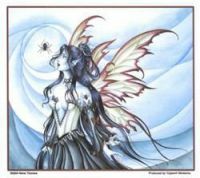 Nene's Arachne sticker designed by Nene Thomas, measures approx 5 1/4 inches by 4 3/4 inches. 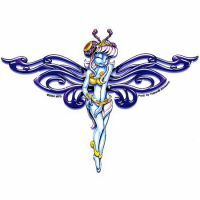 Nene's Stained Glass sticker designed by Nene Thomas, measures approx 4 1/4 inches by 5 inches.